Traces of this family, which is still a flourishing one, may be found as far back as the middle of the tenth century; and between the eleventh and the fourteenth centuries some of its members were particularly prominent. 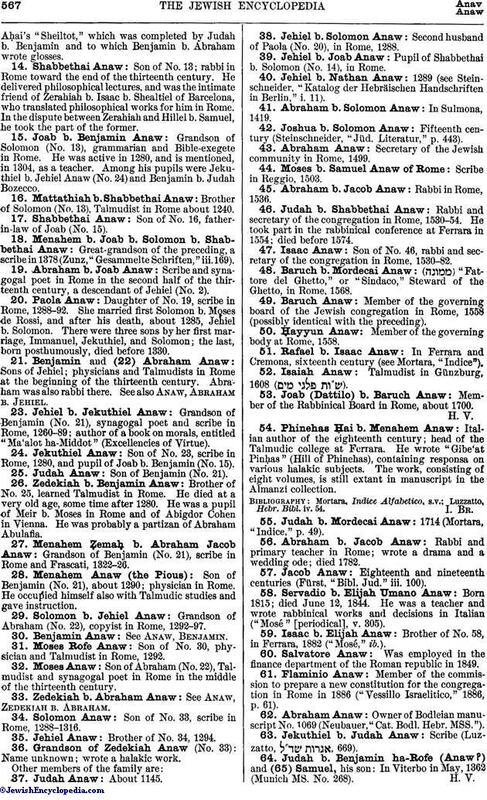 One branch of the Anaws was the family of Bethel or De Synagoga ( or ), prominent in Rome and its vicinity during the fourteenth century. They derived their name probably from Casadio (= House of God), their place of origin. By the middle of the fifteenth century this name had almost disappeared, and became incorporated anew with that of Anaw. The Bozecco family seems to have been an offshoot of the Bethel family. 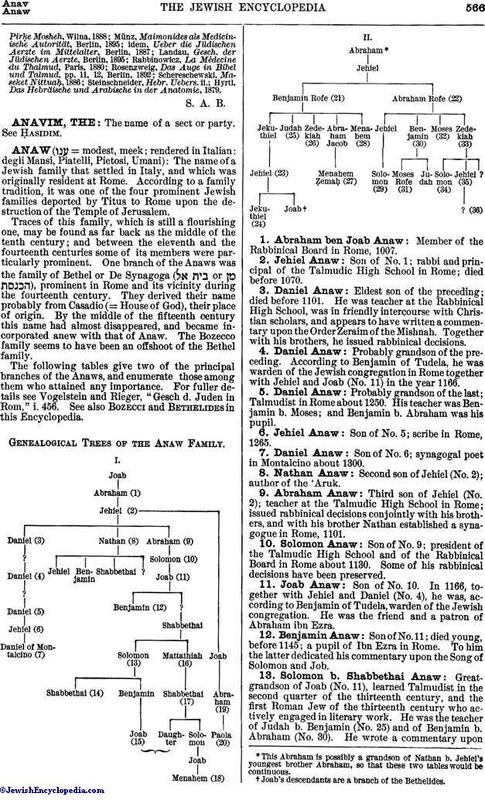 Genealogical Trees of the Anaw Family. 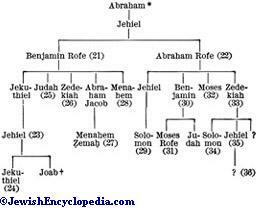 This Abraham is possibly a grandson of Nathan b. Jehiel's youngest brother Abraham, so that these two tables would be continuous. 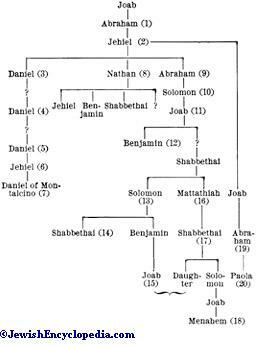 Joab's descendants are a branch of the Bethelides. 48. Baruch b. Mordecai Anaw: ( ) "Fattore del Ghetto," or "Sindaco," Steward of the Ghetto, in Rome, 1568. 52. Isaiah Anaw: Talmudist in Günzburg, 1608 ( ). 63. Jekuthiel b. Judah Anaw: Scribe (Luzzatto, , 669).